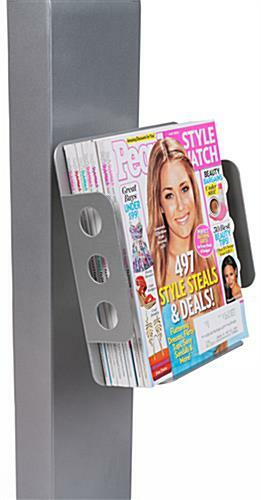 Magazine holder on front of stand for added advertising materials. 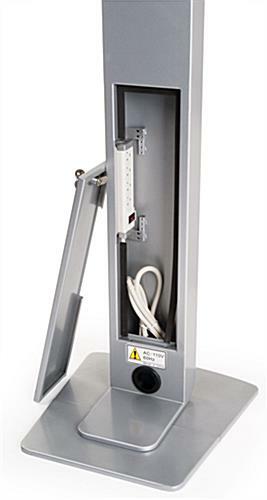 Sturdy floor stand is at ideal height for customer interaction. Landscape or portrait orientation capability. Silver finish to suit many environments. Keyed dual locks for added security from theft. 4 Outlet power bar inlcuded and is mounted inside storage cabinet for hidden charging capability- No need to buy power cord! 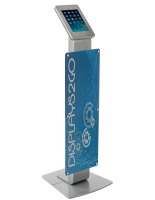 These ipad floor stands This secure digital signage mount can help bring any business into the 21st century of interactive advertising. 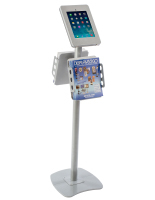 These enclosures, ipad floor stands that have dual keyed locks allow users to control who has access to the tablet. Interactive presentations draw in consumers and allow them to take control or what they are viewing. 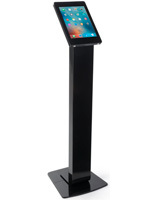 These ipad floor stands that are portable can be used at tradeshows or in business establishments. The inner compartment holds a power strip for charging that is kept hidden. The back door of these ipad floor stands lock. The home button access of this display is covered to prevent outside users from tampering with presentations. 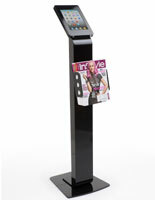 These ipad floor stands are certain to help increase sales by bringing businesses marketing into the 21st century. 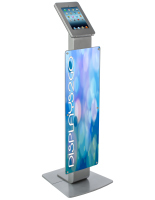 This secure display can be used at tradeshows, retail stores, libraries, car dealerships, and just about any place that modern advertising is beneficial. 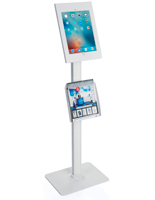 Customers can take literature after viewing the digital presentation on these ipad floor stands to keep information fresh in their mind. Tablet holders are sleek and modern to suit many environments. 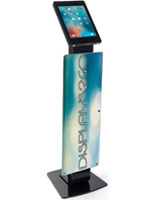 These ipad floor stands can be seen used in tradeshow exhibits. This display has it all with locking capability, a power strip for constant battery charging, literature holder, and a modern design. 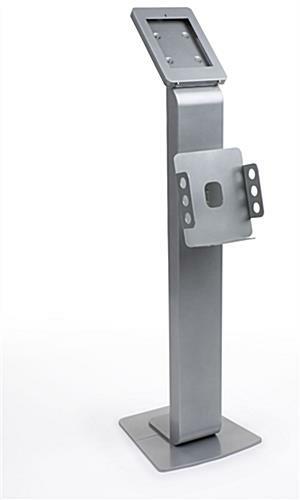 These locking ipad floor stands help users keep expensive tablets safe from theft and prevent tampering of presentations. At such a competitive price, this is one deal that is hard to beat. These locking tablet holders have a sturdy design so they do not tip over while in use. The catalog pocket is useful for printed literature to extend advertising efforts. The enclosure is designed for the 2nd generation Apple ® tablet. Many businesses can benefit from interactive advertising. These enclosures for tablets are perfect for use at tradeshows to draw customers into an exhibit. 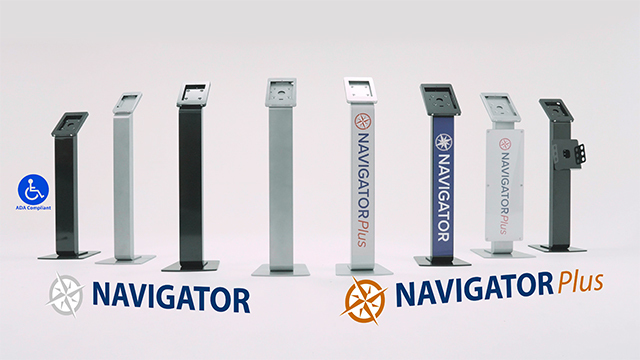 There are many sizes and styles of kiosks offered in this online catalog!